Conventional wisdom says that winter is not a good time to sell your home but there are definite advantages to listing your property during this time of year that should not be over looked! 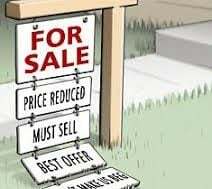 During the fall and winter there are fewer homes on the market which translates to less competition for you, the seller. With fewer properties available, it should be easier for you to catch the attention of potential buyers who have fewer properties to choose from. It should also mean that you can take more time to weigh the pros and cons of any offers you receive…and properties that are in good shape and priced fairly should still receive attention. 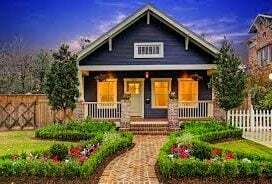 It’s important to keep the exterior of your house, your yard and gardens neat, clean and tidy even when you’d rather stay inside. Before the cold really sets in, focus on tasks such as cleaning out eaves troughs, gathering any downed branches or dead foliage and taking care of any necessary minor repairs. 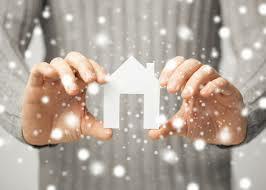 During colder months, buyers will be thinking about weather specific issues such as heating costs and air quality. 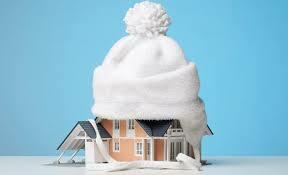 Think proactively and consider getting your furnace, HVAC and roof inspected and/or repaired as necessary. You don’t want to turn a prospective buyer off by not attending to a repair that could have (and should have) been taken care of before putting the house on the market. Just because you can’t keep flowers outside doesn’t mean you should give up on dressing up your entrance. Curb appeal is just as important now as it was during warmer weather – probably more so. Something as small as an attractive wreath hung on the front door, a planter of branches on the front step or maybe even fairy lights strung over a door frame can catch a buyer’s eye and entice them to have a look inside. Potential buyers should feel welcomed as soon as they approach the door so any small touches you can add to brighten up your entryway are worth it. It’s also important to keep an eye on your winter garden. Make sure that shrubs and trees that might get weighed down with heavy snow won’t block your driveway or entrances and exits. Keep walkways and front steps shoveled and ice-free – you don’t always get much advanced notice for showings so you always want to be prepared. Showings move quickly often lasting only 15 – 20 minutes as buyers sometimes have an idea of whether or not your home is the right for them before they’ve even taken off their coats. A successful seller will catch the buyer’s interest right from the start. Whenever possible have some lights turned on and the heat running. If you can safely leave a fire burning in the woodstove or fireplace, even better! Your home will appear well-lit, cozy and welcoming for potential buyers and will feel like a shelter from the cold outside. Its relatively easy to build on this impression by adding layers of warmth: add a throw rug in front of the fireplace, toss a knitted blanket over the arm of the couch or consider adding a fluffy quilt to the end of a bed. Small touches can go a long way towards leaving a lasting impression. Christmas décor can really emphasize a nostalgic, family-friendly atmosphere and can help buyers envision their own family fitting comfortably into their new home. But if its February and your tree is still up, you’re not doing yourself any favours. When the holidays have passed, take down your tree and pack away your decorations. Keeping your home tidy and clutter-free takes priority here. You might want to keep one or two items out, though. Leave the wreath and the urn at the front door out for as long as they continue to look attractive. Why make more work for yourself than necessary? You’ll be busy enough keeping the walkway shoveled! And here’s a tip: Let buyers see what your property looks like during the spring, summer and fall months. Make up a small photo album or scrap book of photos of the exterior of your home, the garden when its in full bloom, the patio when you’ve got the table set and ready for a BBQ picnic, the front yard when the trees are changing colours…you get the idea. Help buyers envision your property year-round. Also keep in mind that most buyers will be working during daylight hours so it could be dark when they come to take a look at your place. Work with your agent to provide plenty of clear, bright photos taken during daylight hours so buyers can get a complete idea of your home and yard, inside and out. 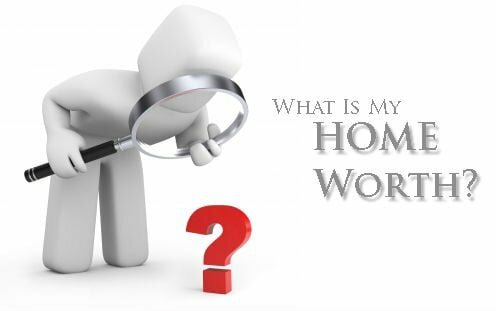 If you are thinking of selling your home, I would be happy to work with you to put these strategies to work. Call me at 519-270-6702 to schedule a free, no-obligation property evaluation today! 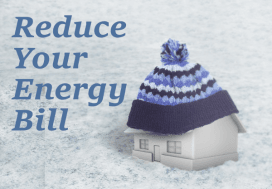 Reduce Energy Bills & Stay Warm This Winter! Is Your Home Over Priced? Santa Is Coming…To A Town Near You!